Description: One coat, non-film forming, translucent wood finish. Usage: Siding, railings, decks, siding shakes and shingles, fences, boat docks, outdoor furniture and logs. 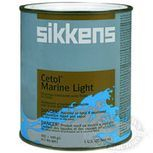 Description: Premium, non-pigmented exterior satin finish that can only be applied over a previously coated Cetol 23 Plus or Cetol Log & Siding system. Features: Durable surface film protects the wood from the elements and marine enviroment. It is microporous, to allow the wood to breathe. Description: A durable satin protective wood treatment, formulated with a special alkyd resin and high quality synthetic UV-Absorbing pigments. Features: Durable surface film protects the wood from the elements and marine enviroment. It is microporous to allow the wood to breathe. Description: The acrylic/oil formulation features excellent penetration and adhesion over bare and previously coated surfaces, remarkable color retention, easy application and soap and water clean-up.